I figured I'd give my feedback on my various past gadgets... that first one... woof. 2. So, who do I think has a great about me gadget? 3. 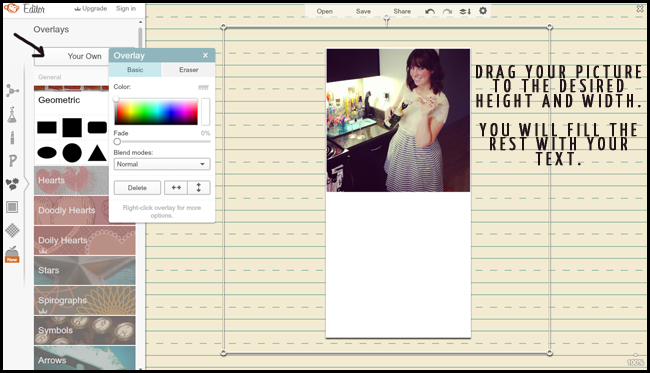 Designing An About Me Gadget in PicMonkey. Although I do all my designing in photoshop, I rarely do any tutorials in photoshop. 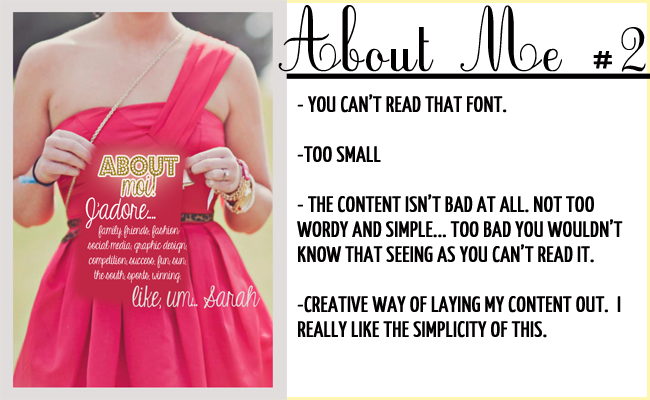 I want everyone to be able to recreate any of my Saturday Sessions posts, so I use picmonkey. I'm not the most experienced with PicMonkey so I apologize if I take more steps than needed, this is the only way I know how. Ok, let's get started! 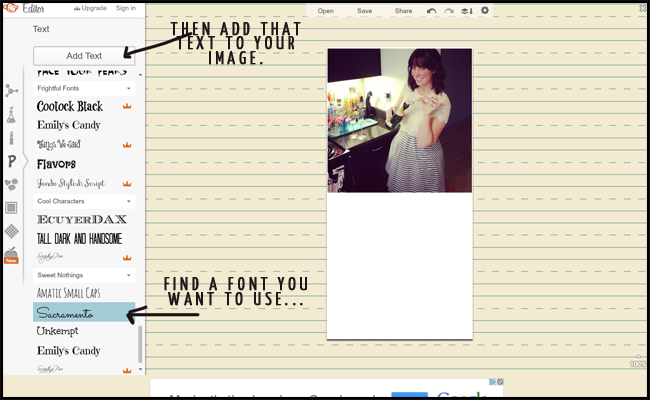 Step 1: Go to PicMonkey and choose edit a photo. You can pick any photo at all, it doesn't matter right now because we are just going to resize it. 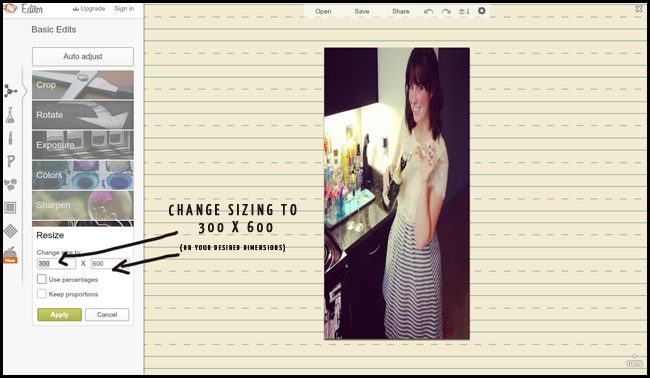 Change the dimensions to 300x600 and uncheck the option "keep proportions". Next you will go to the option on the left side called overlays. This will allow you to start with a white, blank slate. 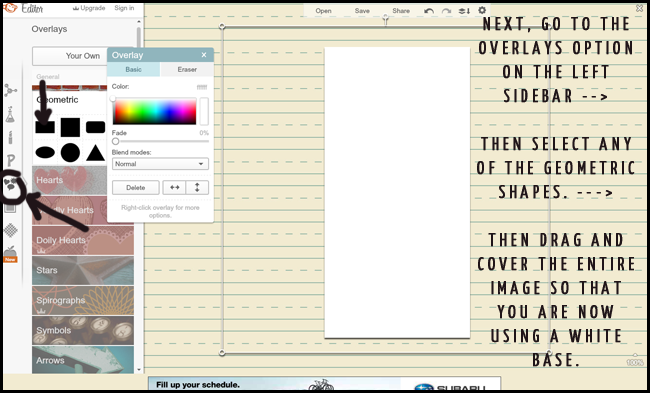 Step 2: Click to add your own overlay. This will be the picture you've decide to use for the about me gadget. 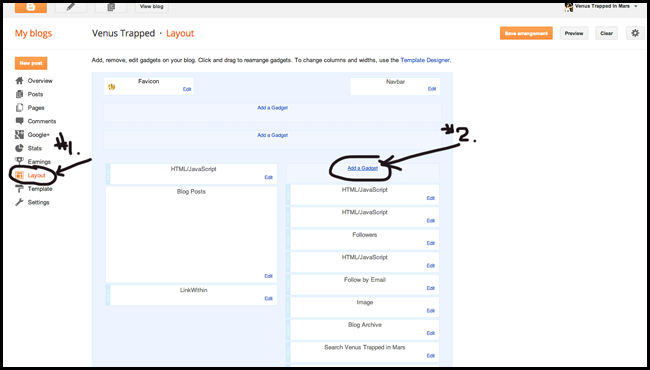 Then resize and place where you want it to be. Step 3: Time to add your text. I suggest mixing no more than two design fonts, and one basic print text (i.e. Georgia, Times New Roman, Arial) at one time. 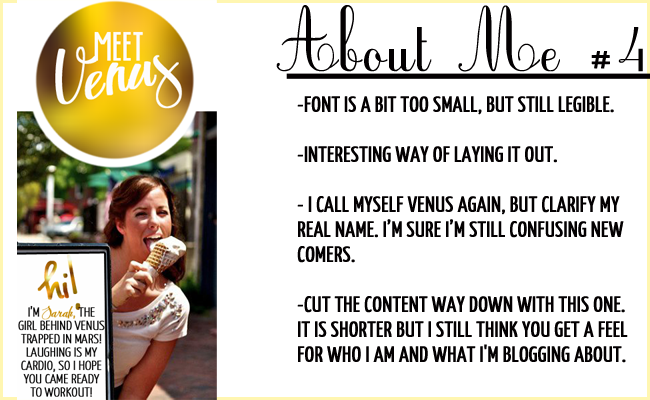 See my guide to pairing fonts here. Important :::::: Always save as PNG. No need for us to get into this, just trust me. JPG isn't your friend. 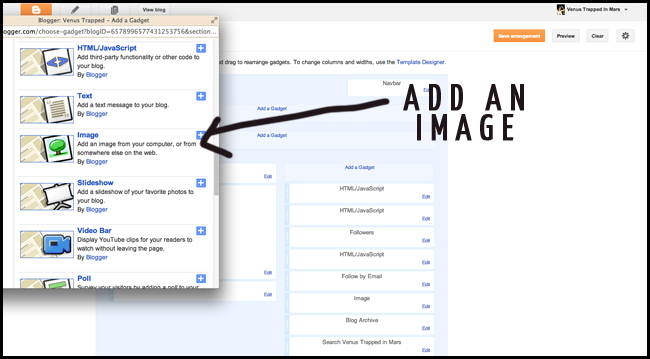 Step 4: Upload it to your blog! Go to you dashboard, select layout, then add a gadget to your sidebar. Then choose add an image. 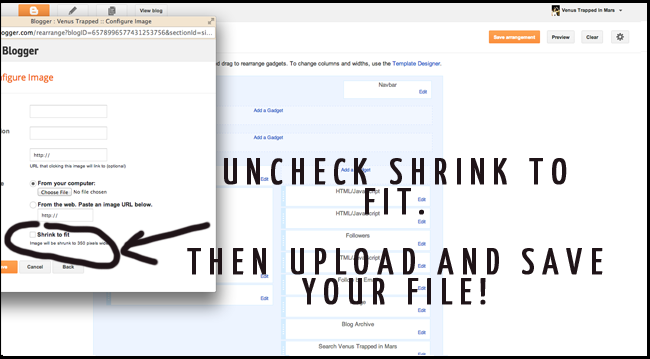 Before you upload, be sure to uncheck "shrink to fit". Upload your png file and click save! It's great . Though about me's always give me anxiety . Like I don't even know myself ! This was a great tutorial!!!! Much needed! when you're right you're right. and i like how you used yourself, haha! we all learn. But you are definitely a master! 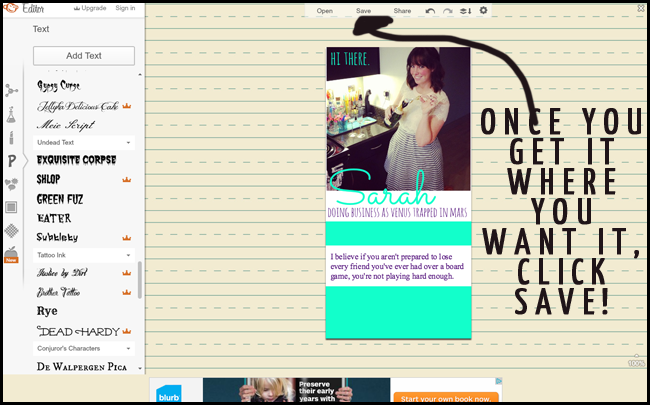 Then again, I need to change my entire blog design. Where is the time when I need it? omg sarah!!! All week I've been looking everywhere for this!!! You saved my blog's life, although I still need to fix a lot. !!! Thank you for this tutorial! This is going on my goals list for the week! 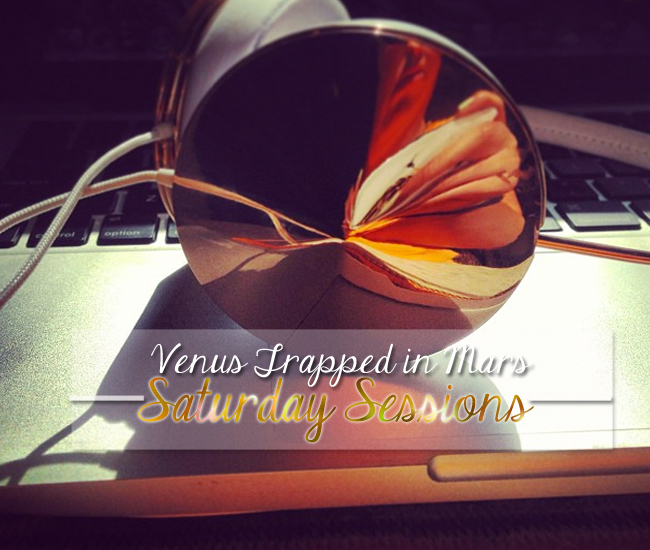 I really love your Saturday sessions! I just need to find me some more time to put them all into action! 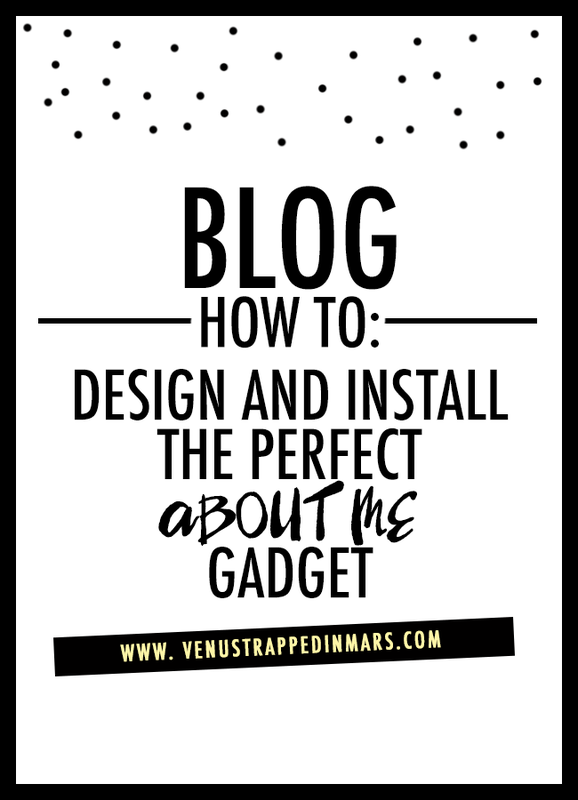 This inspired me to update mine...and that led to an attempt at making my entire blog look better. Thanks! So much easier than I thought! I'm definitely admiring my amateur handy work right now. Who knew PicMonkey & NFL Red Zone was such a beautiful match?! Thanks! 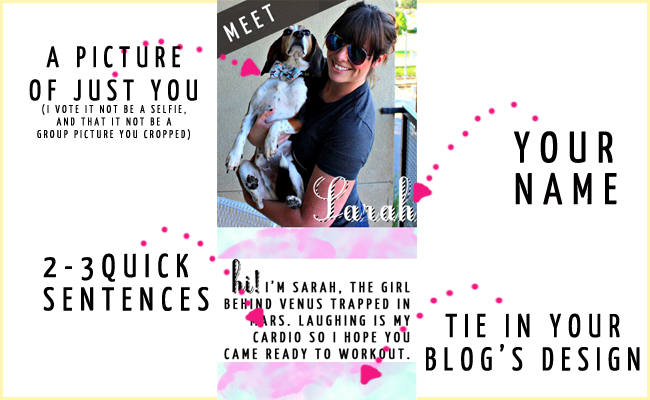 I tried to do this with my about bit on my sidebar, but then I realized I'd rather put up a pic and write actual text under it. It's easily readable by gadgets and easy to edit, and if anyone has trouble with the font they can change it on their browser/phone or make it bigger without it pixelating the way a photo with text on it would. Thank you! So simple and makes a huge difference. Thank you for this!!! I've been wondering how to make one of these!! I think it's alright.. 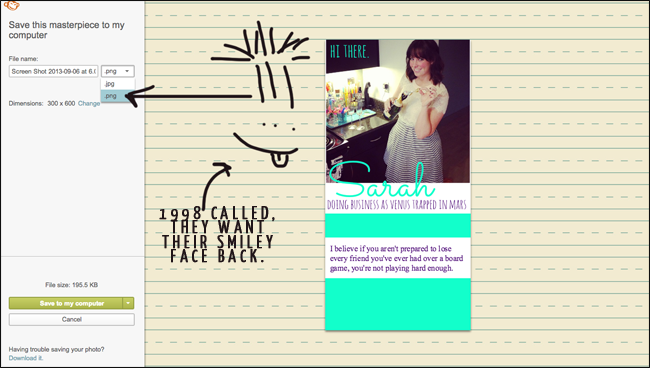 I would have liked to have matched the border with the beige of my blog background .. but I didn't. Next time! Thanks so much again for your awesome, easy to follow tutorials!! Starring this to do later...mine still says Boomer is 6...ugh. This tutorial is absolutely amazing! 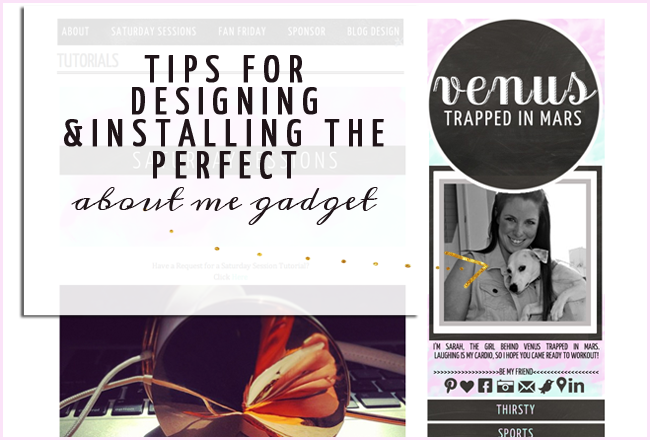 Four for you, Venus Coco, for giving us design-illiterate folks hope with your Saturday Sessions! Thanks for sharing! 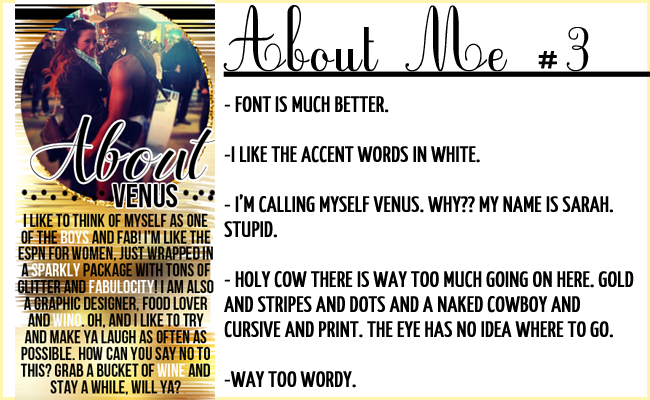 Not to figure out what to say 'about me'! Any pointers for doing it in pse? 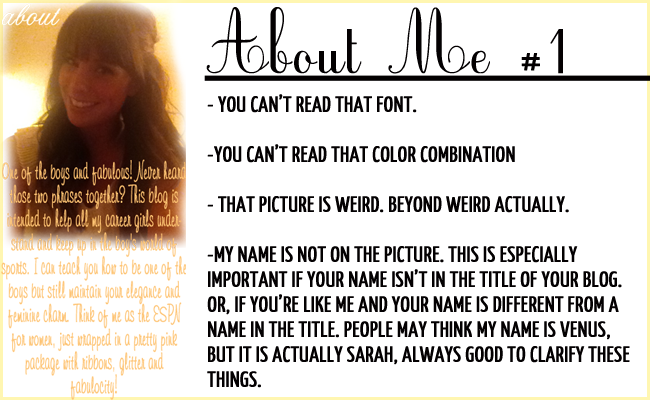 Totally just redid my about me based on this. It was so simple when you explained it. You have a gift lady! One question! 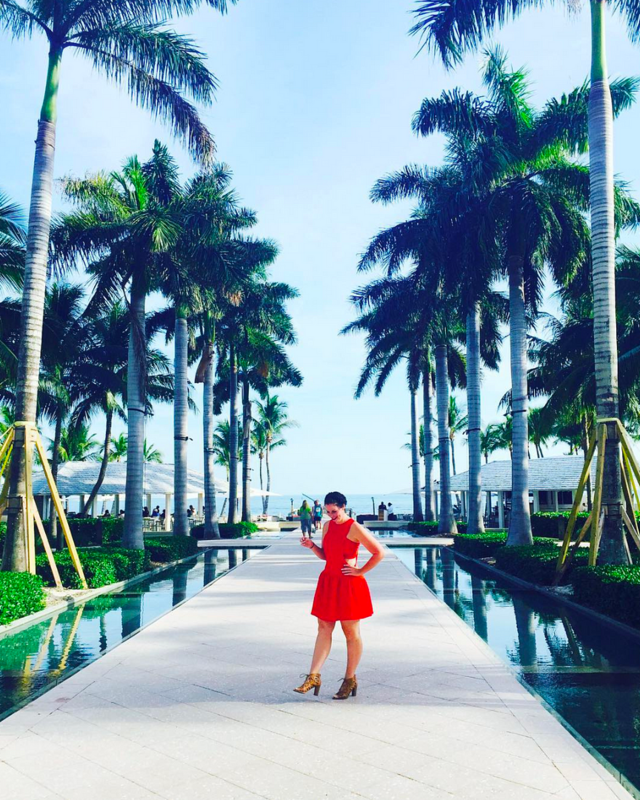 My blogger makes me enter a title for the image and that is just all sorts of ugly. Ideas on how to bypass this?